Lenovo Ideapad 130-15AST drivers for Windows 10 64 bit are available online. You can easily download and install to let your laptop operate properly. 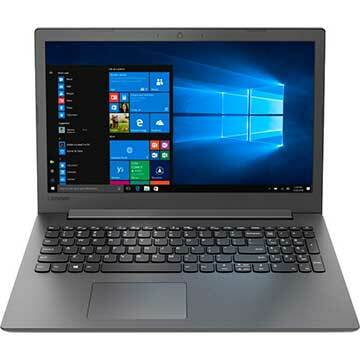 Lenovo Ideapad 130-15AST is 15.6 inch laptop powered by 2.6 GHz AMD A6-9225 dual-core processor with integrated AMD Radeon R4 graphics video card. This notebook comes with 4GB 2133MHz DDR4 memory and 500GB SATA HDD to store your documents. The Lenovo 130-15AST 81H5 features 11ac Wi-Fi, Bluetooth 4.1, 4-in-1 card reader, USB 3.1 Gen 1, HDMI port, 0.3MP 720p HD web camera, stereo speakers with Dolby Audio technology, DVD-RW drive, 2-cell 30WhLi-Polymer battery with up to 5 hours battery life.